One of the most community engaging ways for SAP to share the immense amount of knowledge with a diverse range of partners, customers, and community members is to host authentic local grassroot events. 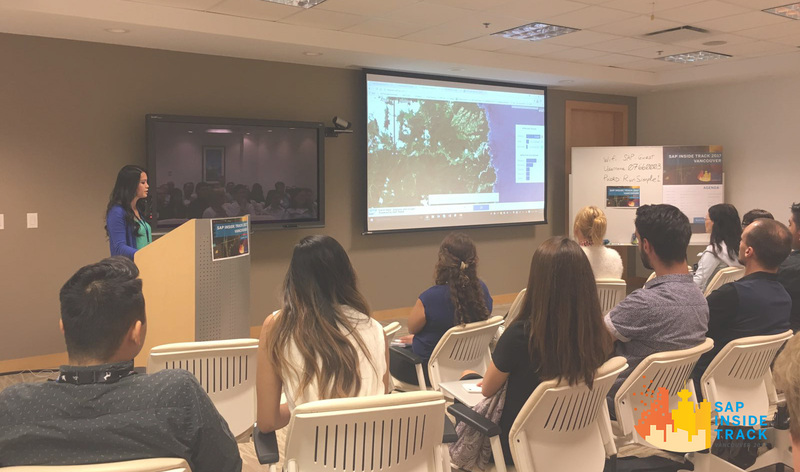 Last Friday August 18th, 2017, the 6th annual SAP Inside Track event was held at SAP Vancouver! SAP Inside Tracks are community events hosted globally by passionate advocates such as the SAP Mentors. 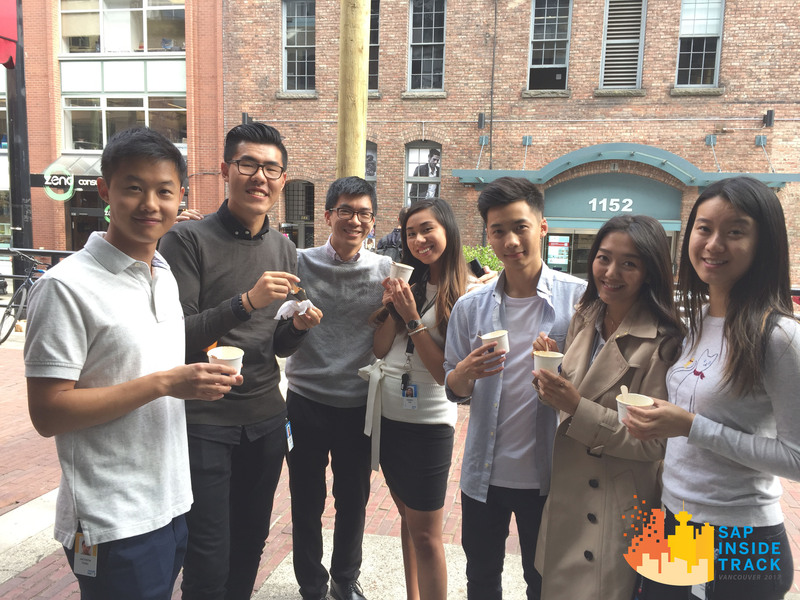 The mission is to not only showcase what SAP is all about, but to make meaningful engagements with our community in an environment where they feel most comfortable – and yes every attendee had the opportunity to network afterwards over rich, creamy, delicious ice-cream made in Yaletown with liquid nitrogen. Windshield wipers, light bulb spin, and the chicken dance. Anyone know these funky dance moves? 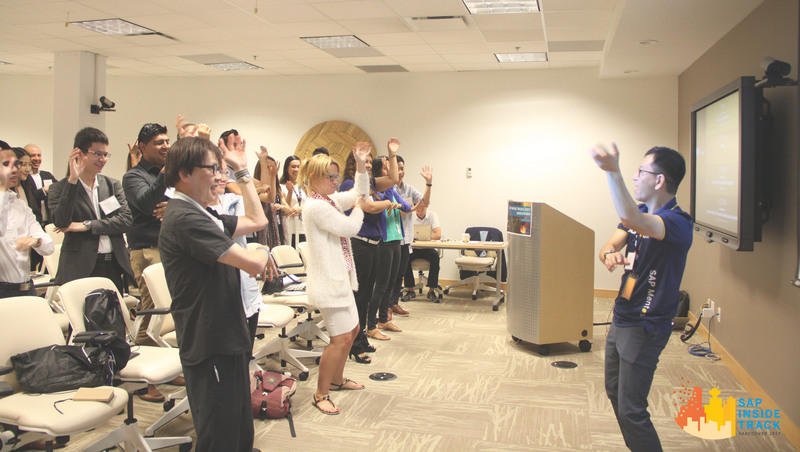 SAP Mentor program lead: Jason Cao kicked off our SAP Inside Track by warming up our attendees in the most creative fashion. He literally had the audience off their seats and standing up right off the bat. No better way to get comfortable in your environment than to be a little bit silly right? With the our SAP Inside Track LIVE theme this year, we wanted to focus on how live business, insights, and data impacts small to large organizations. Our first session was lead by Jane Fu, Katya Pokrovskaya, and Kevin Liu on Live Data. 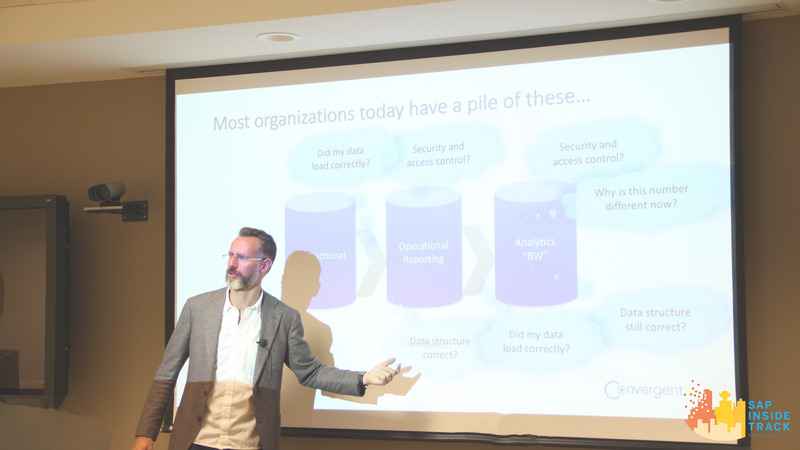 They showcased how Live Data can be converted into insights that drive meaningful value through SAP Analytics Cloud and SAP HANA express. Several questions in this session were asked by our curious community members about what areas live data would be most crucial in our world. Together, we identified several disaster relief cases around the world, and even how it was used in the recent wild fires in Fort McMurray. This session really showcased how Live Data and information can be used for risk protection, and is extremely helpful for optimizing decision making in high pressure situations and also help save lives. The speakers encouraged feedback and took the time to answer each of our attendee’s eager questions. The essence of a community event is to gather a wide range of voices from both SAP employees and external perspective. Our honoured guest Shaun Syvertsen flew in all the way from Alberta on his way to Cumberland with his family just to share with us his knowledge. This is what community is about. Shuan discussed the implications for transactional and analytical live business in order to turn a better user experience for several industries. All recordings can be found on our wiki page. After a round of applause to our guest speaker, our SAP Leonardo advocates stepped on stage. 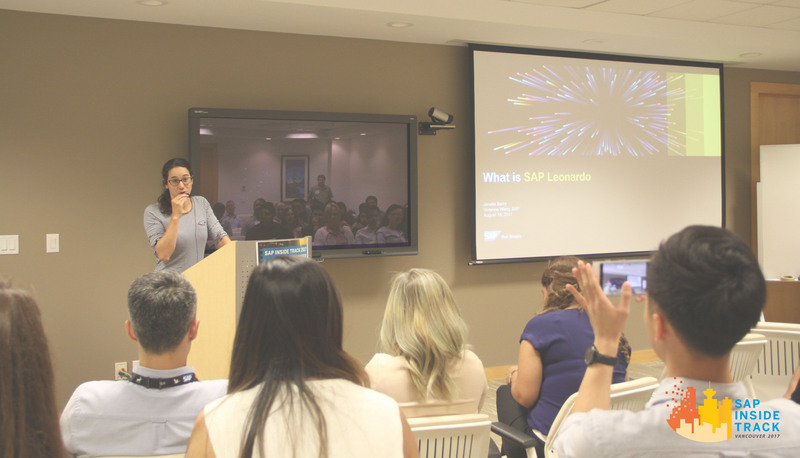 Since the launch of SAP Leonardo at SAPPHIRE NOW, there has been a lot of buzz and curiosity surrounding the new innovation system. What exactly does Leonardo encompass, and how can I explain it to my clients? Customers, sponsors, and community members were all raising their to ask questions in this session lead by Janelle Berry, Vivienne Wang, and Eamon Ida. Constructive feedback, clarification, and use case examples filled the room. After 3 sessions, it was time for a lunch break and to have some fun! Did we mention that breakfast, mid-morning snacks, and lunch was provided to all our guests? 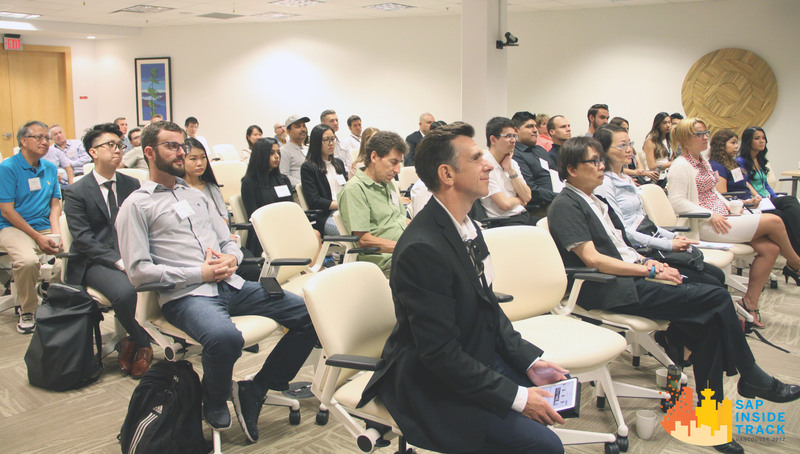 Quick thank you to SAP Vancouver labs for being event host sponsor. Our attendees had a blast playing and learning from our Germany based interns about their current e-waste bin project. 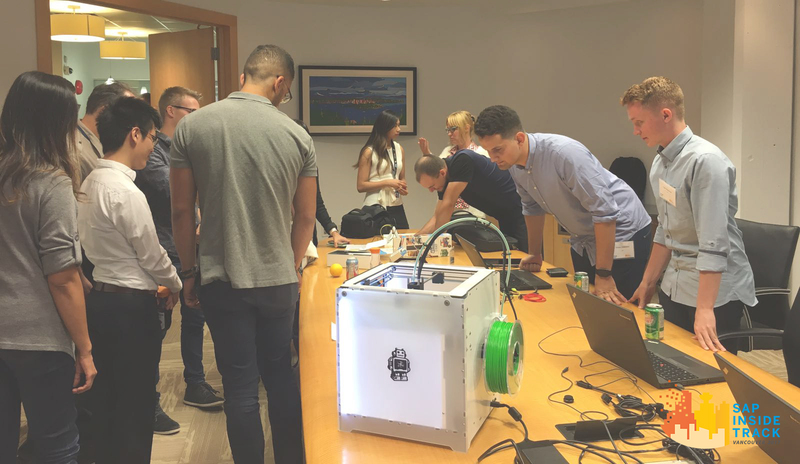 They demonstrated their use of machine learning, tensor flow, and 3D printing to help people improve recycling process in SAP office locations. As you can see in the photograph, there was a deep level of interest in what these innovative developers were making. During the lunch break, attendees had the chance to test out our dShop gadgets lead by Brenden Kennedy and Christine Kuo. The VR goggles demo from SAP Digital Board Room lead by Andrea Ton was also showcased and enjoyed by many of the attendees. 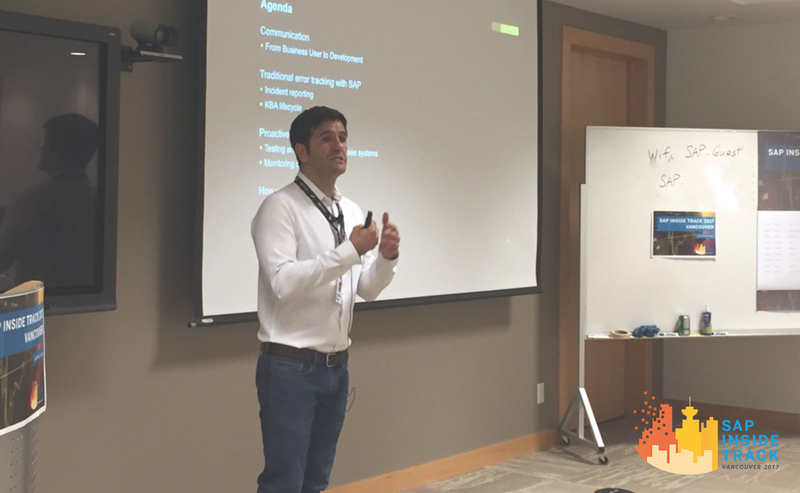 For our final session, Julian Jimenez from Product Support educated us on how SAP collect errors that customers experience in real time and start troubleshooting. He showed us how his all happens before the tenant administrator even hears from their users or has the chance to create an incident. There was a wonderful brainstorming time for the audience for together they generated creative ways to give a more seamless customer experience. See the live recording here. In retrospect, organizing a SAP Inside Track event during my 8 months here has definitely be one of the most memorable experiences in my internship so far. To hear genuine feedback from customers, power-users of our products, and from our speakers has been both enjoyable and educational. I want to thank all our passionate volunteers that helped make this community event possible. To see the full list of volunteers, check out the SAP Inside Track event wiki page for acknowledgements. As Jason has told us, “we are all here to make a delicious bowl of stone soup.” When each community member brings something of value to the table, it will result in an even greater outcome. The hope of hosting these community events is to not only share our knowledge, but also to gather authentic insights from the “immense pool of knowledge from the wider community” as SAP Mentor Ankur Godre from Bangalore has quoted. I want to challenge all of you SAP advocates to host a Inside Track and encourage your community members to share knowledge. Well done, Chris! Congrats on your first blog in the Community. I’m embarassed about the photo of my warm-up Bollywood dancing to Lady Gaga. Glad everyone played along!